Count the total number of total comments, Wall posts, and likes. A broader indicator of engagement. Tally up the average number of comments, Wall posts, and likes generated by each piece of content you post. Score how engaging your content is to Facebook users. A higher Post Quality indicates material that better engages users. Add up the number of posts your Page has made either on the Wall or in video. 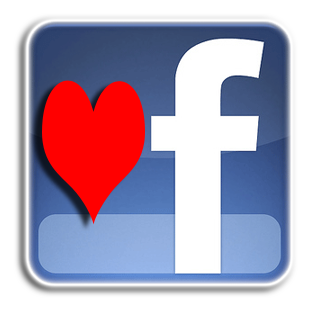 Determine the number of times your Page has been viewed by Facebook users. This feature is not available yet, but when it is, it will provide you with a measure of the Click Through Rate and Engagement Rate for your content appearing in the Facebook News Feed. If a user clicks on one of your posts, that will be counted as Stream CTR. If a user likes or comments on one of your posts, that will be counted in the Stream ETR. Total number of photo views, video plays and song plays. Total number of discussions started by fans of your Facebook Page (if app is used). Number of times your Page has been rated in the Reviews application (if used). 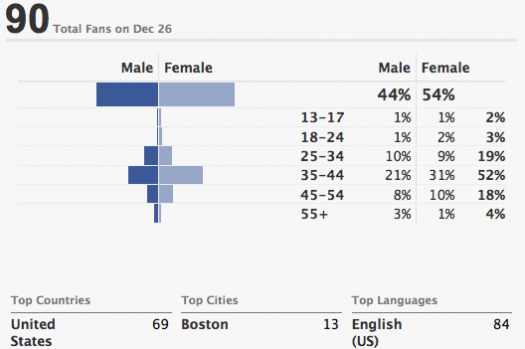 This is a comprehensive but simple report about the gender and age of your fans. Capture these 11 Facebook Page stats in a spreadsheet. Update as often as you like, but at least note the date when you collected today’s homework. I don't know, these feel like the metrics that you can easily measure, as opposed to the ones you necessarily 'need' to. Your campaigns objectives should drive which metrics you care about. They might be a subset of these, or they might be something else entirely.